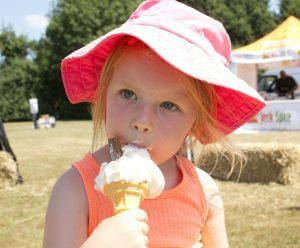 Over 2000 people ventured out to enjoy the sunshine at the Hook Village Show and Craft Fayre, last weekend. 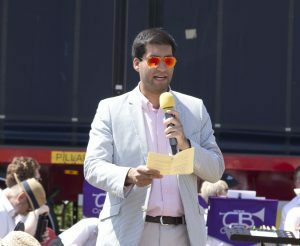 Local MP, Mr Ranil Jayawardena opened the show and Cove Brass Band got the afternoon off on a musical note again this year. Numerous events took place in the central arena and families were captivated by the sheepdog show. Sadly, Sweep was unwell, so Flight (who is still in training) delighted the crowds by herding a group of geese back into their pen. 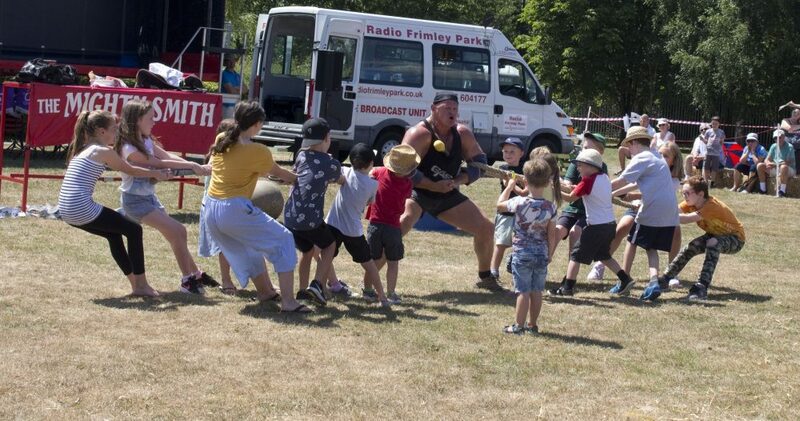 Mighty Smith, the World’s 5th Strongest Man, engaged everyone by pitting his strength against willing volunteers. 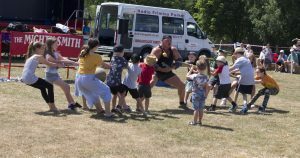 The 90Kg medicine ball was too heavy for the local dads, who braved the challenge and the kids had a fun time trying to pull Mighty Smith’s hands apart in a double tug of war. The Karen Blackburn Dance Academy wowed the crowds with its beautiful dance routines. There was lots of entertainment for younger visitors to enjoy, including a miniature steam train, a coconut shy, throw a bean bag at tin cans, feed and pet the donkeys, climb aboard a vintage bus and squirt a fire engine hose. Visitors of all ages enjoyed the vintage car display and numerous stalls selling plants, china, food, toys etc. 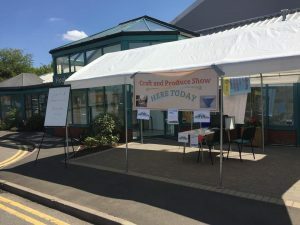 The Craft Fayre, held in the Community Centre, was packed with stalls selling unusual or unique, handmade items and accessories. Even the four-legged family members were not forgotten. Pampered pooches participated in a fun dog show and competed for prizes in categories such as the waggiest tail, best six legs (dog & owner) and cutest puppy. 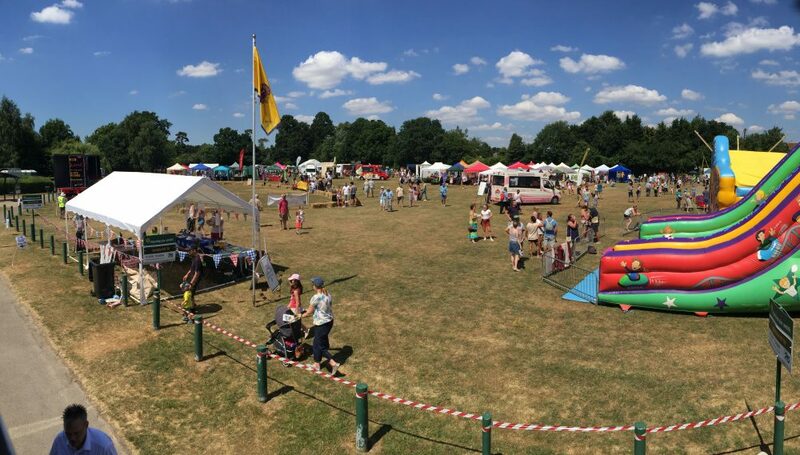 Frimley Park Hospital Radio compered the event and did a great job playing feel-good summer tunes throughout. Hook Parish Council would like to express thanks to the main organisers, Hook and Odiham Lions, without whose time and organisational skills the event would not have been such a great success. 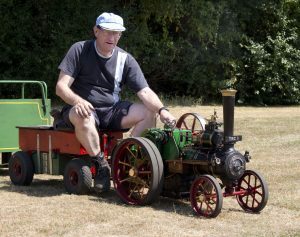 Without the contribution made by Hook and Odiham Rotary Club, the many volunteers and local business sponsors, the event would not have been possible. It was a credit to Hook to see so many local groups working together and supporting its Village Show. The Parish Council was also very appreciative that all the visitors made such good use of the waste bins and left the entire site clear of litter.